Check our events page for some great races happening in 2019! Blog The New Balance 890v7 Has Arrived! 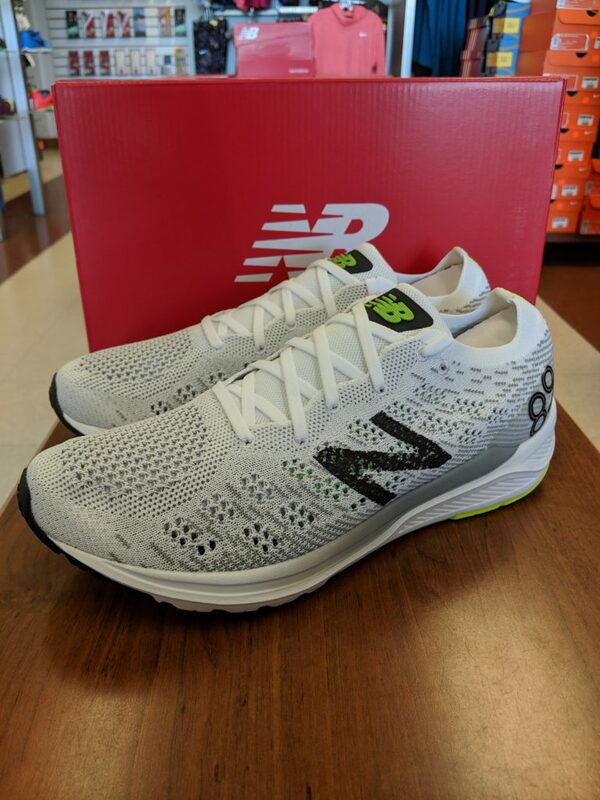 The New Balance 890v7 Has Arrived! The New Balance 890v7 has seen some amazing updates! First off this shoe is over 2 ounces lighter than the V6 version. An insane weight reduction! The upper has been built with a lightweight Engineered Knit material that’s still supportive but very socklike. The collar around the ankle has more give to move with you more efficiently. New Balance has tweaked the outsole to make it slightly softer for those longer runs, reduce the weight and offer an easier transition. The midsole is made with Ground Contact RevLite to still offer a responsive feel but while also keeping it comfortable for those long runs. Whether you need a new shoe for tempo and speed work, or are looking for something lighter as your daily training shoe then check this one out. The new Knit upper is fantastic! Now available at all Tech Shop locations.